Female macropterous, with wasp-like waist. Body, legs and antennae mostly brown, abdominal segments II–III sharply yellow with anterior margins variably brown, X yellowish in contrast to IX; antennal segments I–III yellow; femoral apices often yellowish; fore wing banded, brown with small sub-basal pale area, medially with broad pale area, also an indistinct sub-apical pale area. Head broadly recessed into anterior margin of pronotum. Antennae 9-segmented, unusually elongate; III about 8 times as long as wide with long sensory area formed of irregular scallops. Mesonotum without sculpture on anterior half. Metanotum with no sculpture medially. Fore wing slender with apex rounded. 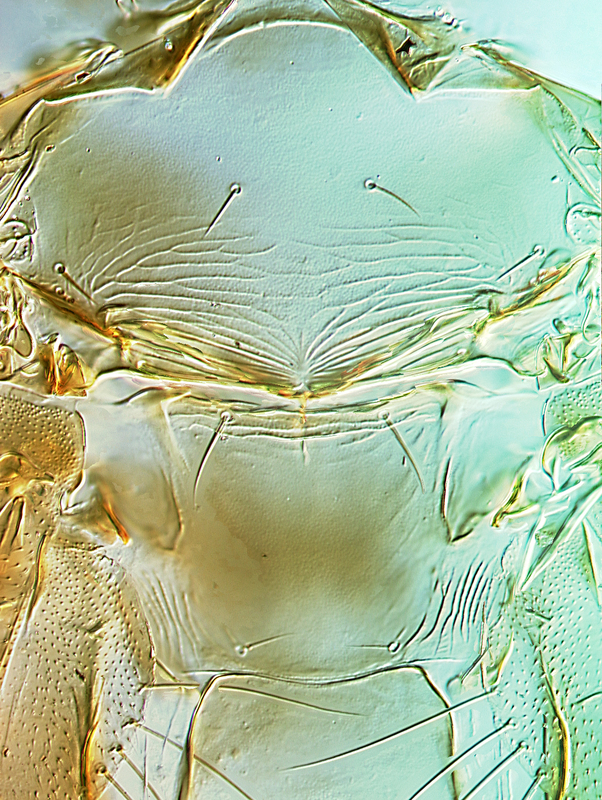 Abdominal tergite I anterior margin strongly constricted, tergites lacking sculpture; sternites IV–VI each with two pairs of marginal setae and two pairs of setae laterally on discal area. Currently 14 species are placed in the genus Franklinothrips, all from tropical and subtropical countries, although more undescribed species are known from Southeast Asia (Mound & Reynaud, 2005). 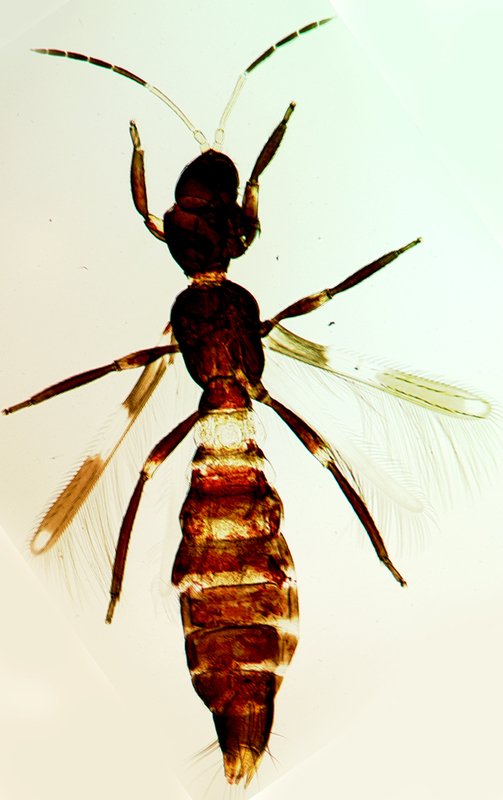 Particularly similar in structure to F. vespiformis is the Central American species F. orizabensis, but that has the forewings rather broader at the apex and without a pale sub-apical area. Presumably originally from the Caribbean or Central American region, this species has been recorded widely around the world in tropical countries. Recorded from northeastern Queensland and the Torres Straits Islands, and also from Kununurra in the north of Western Australia. Usually collected from low-growing plants. Adults and larvae are fast moving, ant-mimicking predators of small athropods such as thrips larvae. The larvae are red with a characteristic hump-backed appearance due to the swollen pterothorax (Mound & Reynaud, 2005). Pupation occurs at ground level in a silken pupal cocoon that the second instar larvae spin.